The rate of incidence of catastrophic injury in Fort Worth and in Texas is mind-boggling. Auto crashes are a major, but not the only cause of catastrophic injury. In fact, in 2014, there were over 232,041 Texans injured in auto accidents alone. 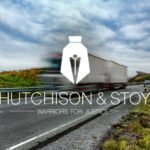 If you or a loved one has suffered a catastrophic injury, contact a Fort Worth Catastrophic Injury Lawyer at Hutchison & Stoy, PLLC. Catastrophic injuries are defined as injuries that have an adverse impact on the sufferer’s health, life and income. This can include spinal injuries, blindness from an eye injury, deafness, burns, loss of limb, brain injuries and internal organ damage. Catastrophic injuries can alter the victim’s long-term lifestyle, career and financial well-being. For more information about catastrophic injuries, follow our links about car accident injuries and truck accident injuries. The often painful and usually long-term implications of a catastrophic injury mandate that the sufferer should contact an attorney who specializes in personal injury law. Due to the life changing effects, attorneys will look for long-term relief, appropriate compensation and ongoing care and support. Many sufferers are intimidated by the prospect of a drawn out lawsuit but sufferers of catastrophic injuries often receive significant financial compensation that can help them transition through a limited way of life and loss of income. And remember, once two years has passed since the wreck, you are generally precluded from collecting compensation. Persons suffering a catastrophic injury are entitled regain their health, have their medical bills paid and should not suffer unjustly. Inevitably, there is stress about the present and future but experienced personal injury attorneys can put your mind at rest and ensure you receive enough money to support you and your family through challenging times. 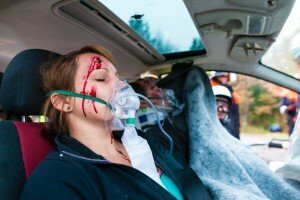 Auto accidents are the leading cause of catastrophic personal injuries in Texas, and auto collisions are caused in many ways, as are truck accidents. In fact, the University of Michigan reported that cheerleading is a leading cause of catastrophic injury in young women. The American Academy of Pediatrics has attributed more than 3.6 million incidents of catastrophic injury to cheerleading! Youth football players are also at great risk. High school athletes suffer between 136,000 and 300,000 concussions every year. Concussions also account for 13% of all hockey injuries. However, in Dallas alone, there were over 26,846 auto crashes in 2014. In Texas, one person was injured in a car accident every 2 minutes and 16 seconds the same year. In 2014, a Texas fatality due to a road accident occurred every 2 hours and 36 minutes. Catastrophic injuries can be deceiving. It is prudent to be extremely careful when the possibility of a life-changing injury takes place. Even if you feel like you can walk away from the accident, you might be surprised what pain and injury can surface overnight or after a few days. Be sure to follow proper steps after being involved in a car accident or truck wreck. When faced with the possibility of an injury, the best advice is to see a physician immediately. You may need to be monitored for several days or even weeks but at least you will receive a proper diagnosis and recommendations for a course of treatment. In many cases, accident victims are hospitalized. Some resist due to the inconvenience but this is not recommended. Follow the physician’s advice, especially when there are head and/or neck injuries. Once stabilized, it is time to contact an experienced personal injury attorney and receive a free case evaluation. Contact Hutchison & Stoy, PLLC, at 817-820-0100 for a free case evaluation. In many cases, the attorney will retain auto crash investigators who will recreate the accident and gather the precise details necessary to support your claim. 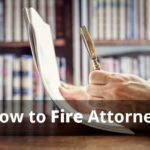 The importance of this type of approach cannot be underestimated and is one component that distinguishes the experienced lawyers at Hutchison & Stoy, PLLC from the other firms out there. 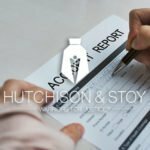 When your future is at stake, catastrophic injury sufferers in Fort Worth, TX need to make the right call; Hutchison & Stoy PLLC, (817) 820-0100 or fill out a free case evaluation.